Easily visit the Giza Pyramids and the Sphinx on a layover with this guided tour from the Cairo airport. After pickup at the terminal, travel in a comfortable vehicle out to the three pyramids. Then, visit the nearby Sphinx and take photos of the pyramids from afar. An option to add on a camel ride or visit inside one of the pyramids is available at an additional cost. 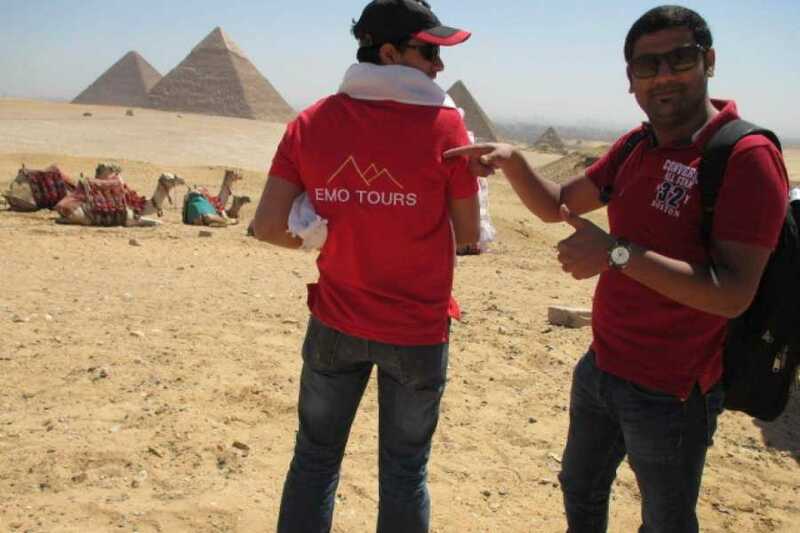 Continue your Cairo layover tour visit the Middle Pyramid of Giza that belongs to King Chephern who was the son of Cheops in the pyramid you will be able to see the Full Pyramid Complex that Contains burial chambers which is located inside the Pyramid itself,a mortuary that Locates outside the Pyramid temple Connected with a causeway that leads you down to a valley temple where the dead Body of the King was Mummified. After you done your Visit you will be transferred back to Cairo airport .